No manufacturing sector requires more customized equipment or has more varied types of products, than the automotive manufacturing sector. From light small plastic parts to heavy engines, the kitting, sub-assembly, and finished automotive products all are deeply impacted for accurate material flow and quality assurance consideration. Automotive assembly is the capstone process for product realization where component parts and sub-assemblies are integrated together to form the final products. As product variety increases due to the shift from mass production to mass customization, assembly systems must be designed and operated to handle such high variety. 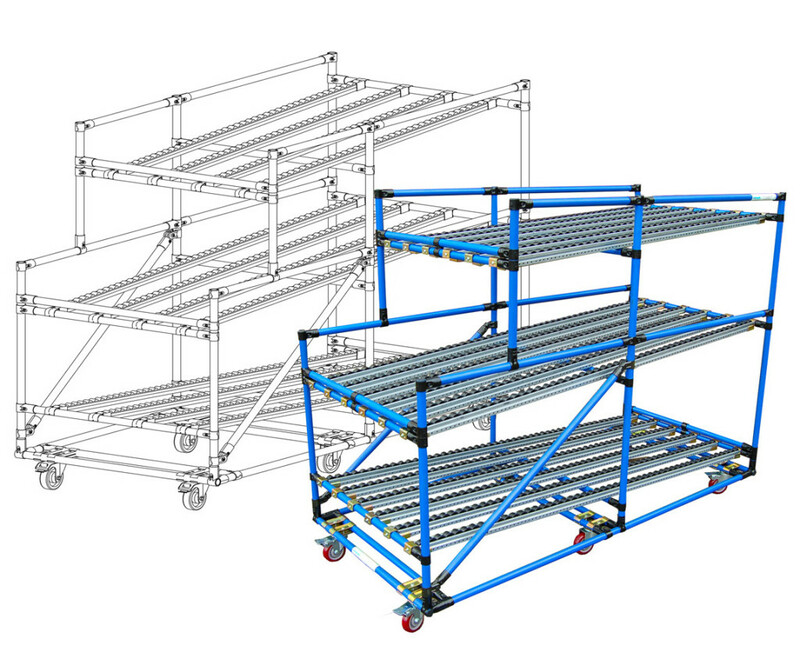 Topper Industrial, leading manufacturer of all line side material handling equipment, has pioneered innovative equipment solutions in the areas of assembly system design, planning and operations where the presence of product variety thrives. Methods for assembly representation, sequence generation, and assembly line balancing have driven innovation and the evolution of material equipment patents that help with material flow. Operational complexity and the role of human operators in assembly systems are always considered in the context of product variety. Challenges in disassembly and re-manufacturing in the presence of high variety are driving a new automotive manufacturing paradigm of products and production. Automotive manufacturing is facing unprecedented challenges due to increased variety, market volatility and distributed global manufacturing. A fundamental residue of globalization and market uncertainty is the increasing complexity of manufacturing, technological, and economic systems. The nature and sources of complexity is important while senior automotive management seek to mitigate the negative aspects of assembly and supply chain complexity while managing flexible technical solutions from mother-daughter cart delivery to tube & joint racks for line-side kitting. Supply chain flexibility has become an important ingredient to remain competitive in today’s increasingly complex automotive business environment. The influence of internal and external knowledge transfer activities on supply chain flexibility requires that operations and plant managers take a contingency perspective. They are moderating the effects of product and supply complexity on the relationships between knowledge transfer and supply chain flexibility shows up from procurement and supply chain professionals. In an effort to maintain or increase their market share and at the same time prevent costs from escalating, automotive manufacturing organizations are increasingly using their current manufacturing system to produce custom output. Topper Industrial creates equipment that allows the large number of product variants, which have increased significantly, the complexity of manufacturing systems to become more manageable for the operators. To counter the ensuing loss of productivity, a more fundamental approach in dealing with this complexity in manufacturing processes is required. To investigate the impact of complexity on production performance, Topper uses a lean manufacturing process to delineate the ability of line-side delivery for highly complex workstations. At the workstation level mixed-model assembly workstations drive increased throughput and productivity.